Last October was warm and rainy, so much so that the observatory at the Alicante-Elche airport collected 76 liters per square meter, 66% more than usual, according to the Spanish Meteorological Agency. Paradoxically, the Alicante-Elche airport also recorded the maximum temperature in the whole of Spain last month. Specifically, 34.3 degrees were reached on October 5th. This data was the highest since 1967 when temperatures also surpassed the 34.2 degrees maximum of October 1981, the last historical record. With an average temperature of 21 degrees, the province of Alicante had not seen such a warm October in 48 years. Alicante, Villena, Novelda, Benissa were the four municipalities of Valencia where the average temperature was higher, one degree above normal. As for precipitations, the city of Alicante had rainfall above normal in October, reaching 50.8 liters/m2. On the other hand, the average value of accumulated rainfall since 1st October to 3rd November in Spain amounts to 106 liters per square meter, a value that is 26% more than the average for this period, instead of the usual 84 liters. 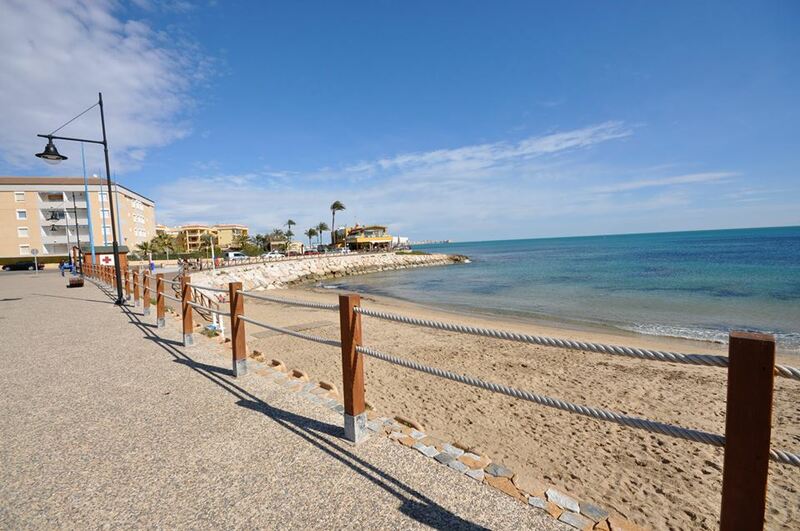 The mild weather is one of the many reasons for people all over Europe to choose the Spanish Costa Blanca for their holidays or even to live permanently. If you too are planning to search for your dream home near the beach and the golf, call us now!